June 13, 2013 / P.J. With two events remaining before the season-ending Vibram Open, Ricky Wysocki has opened his lead in the PDGA National Tour and will look to widen it even more at this weekend’s Kansas City Wide Open. It’s the 31st running of the annual event, which has 80 players registered as of Thursday morning. Though not a massive field — it’s the second-lowest turnout for an NT event this year, ahead of just the Hall of Fame Classic — the top 10 players in the men’s standings and seven of the top 10 in the women’s are slated to play. The standings can change quickly, though, as only the top five of the first seven events for each player, as well as the Vibram, will count in the final standings. With fewer events remaining, however, Wysocki has established himself as the man to beat. This weekend’s event runs Friday through Sunday on four courses in Kansas City. Two rounds are scheduled for Friday with the first at Water Works Park and the second at Rosedale Park. Round three is at Blue Vally Park on Saturday and the fourth round is at Swope Park Gold on Sunday. That’s followed by the final nine at 2 p.m. local time, also at Swope Park Gold. Wysocki has three men’s victories on the tour this year, winning the Texas State Championship, the Hall of Fame Classic and the Great Lakes Open. He’s accumulated 463.5 points, opening a 29.5-point lead over Nikko Locastro (434). Dave Feldberg is in third pla ce (410), followed closely by Will Schusterick (406.5) and Paul McBeth (375). Devan Owens is sixth at 372.5 and is closing in on the top five. Wysocki is also the top-ranked player in the Disc Golf Rankings, an independent ratings system devised by Vibram’s Steve Dodge and sponsored by Prime Discs, Vibram and Rattling Chains. He’s held that spot for the past five weeks and has slowly increased his lead in those standings as well. The top five aren’t the only ones to be watched. Jeremy Koling won the Brent Hambrick Memorial last weekend, an event which featured many of the same players involved in the Kansas City Wide Open. There’s a whole slew of other players — such as Philo Brathwaite, Nate Doss, Garrett Gurthie, Cale Leiviska, Eric McCabe and Paul Ulibarri, among others — who could make things even more interesting this weekend. With such a strong and talented field, it’s likely this could be an interesting tournament to watch play out. A victory by Wysocki could help him increase his lead as he looks to earn the tour championship, but a tough weekend could bring him back closer to the pack, making the final run to the championship even more interesting. 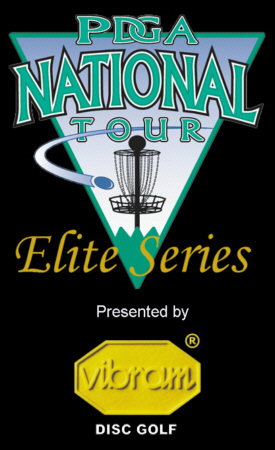 The remaining two events in the National Tour are the Beaver State Fling (June 28-30) and the Vibram Open (Aug. 22-25). The women’s National Tour standings have seemingly become a two-person race, with an outside chance of a third player being involved. Sarah Hokom leads the standings with 464 points, a slight lead over Paige Pierce (459). Catrina Ulibarri is third with 374, followed by Brittany Blair (307) and Des Reading (268). And though the overall championship appears to be down to Hokom and Pierce, that doesn’t mean tournament wins are only a two-person field. The women’s field at the Kansas City Wide Open is at 19 — the second-largest field for the ladies this year at an NT event. Besides the top five players in the world, Val Jenkins is also in the field. A three-time world champion, Jenkins is making her third appearance in an NT event this year, which could make for a more interesting tournament. In the two she’s played in — The Memorial and the “Steady” Ed Masters Cup — she’s placed second. Ragna Bygde — one of Europe’s top women’s players — is also entered as she continues her mini-tour of the United States along side fellow Swedish player Jessica Edvardsson. As always, weather could also play a factor. The National Weather Service is showing a chance of showers and thunderstorms throughout the weekend, with the chance growing higher as it goes deeper into the weekend. The Kansas City Wide Open is also scheduled to be broadcast on Disc Golf Planet.